Council on International Relations – Palestine denounced the Israeli decision of deporting Omar Shaker, the representative of Human Rights Watch in the Palestinian territories, after accusing him of promoting campaigns to boycott “Israel”. The Council said in a statement issued on Thursday that the decision is a serious escalation against human rights defenders and a desperate attempt to delegitimize their work and exploit the term of law to support crimes and suppression of freedoms. The council said that the decision of the Israeli court to deport Shaker comes within an Israeli policy to pressure on international organizations to silence them and prevent their criticisms and reports against the Israeli crimes committed against the Palestinian people. In its statement, the Council expressed its support for Shaker, calling for immediate action to immunize workers in human rights organizations and to allow their work to be easily facilitated. Council on International Relations – Palestine welcomed the statement by former US President Jimmy Carter, in which he called on the US House of Representatives to reject a bill against BDS, describing it unconstitutional. The Council said in a statement issued Thursday that Carter’s stance is a major gain for all who defend the freedom of opinion and expression, as well as for all activists who exercise their right to pressure the occupation through its boycott to force it to end the occupation and give the Palestinian people their rights. “In the midst of a wave of attacks against BDS, especially in the United States, President Carter’s stance is an important position to repel this attack and allow the BDS to put more pressure on the Israeli occupation,” the council said. The Council called upon the international community, parliaments in particular, to ensure the right of peoples to express their views and solidarity with the oppressed peoples, who are subjected to occupation and injustice anywhere, and even to enact laws to isolate and hold criminals accountable. Council of International Relations – Palestine (CIR) condemned the visit of Brazilian President Jair Bolsonaro on Sunday to the Israeli occupation state. The council said in a statement on Monday that the visit violates the international law and is contrary to the historic Brazilian position of standing by the occupied and oppressed peoples. “The opening of a diplomatic office in the occupied Jerusalem to increase cooperation with the occupying power and the visit of Al-Buraq Wall “the Western Wall”, accompanied by Netanyahu, violate the historical position of Brazil and support crimes against humanity committed by the Israeli occupation against the Palestinians,” the statement said. The Council called on Brazil to reverse these positions and abide by the principles of international law and diplomatic norms, calling on Arab and friendly countries to pressure them to retreat from these dangerous positions. On Sunday, Brazilian President Jair Bolsonaro arrived in “Israel” on an official visit at his second stop after the United States, signaling a shift in the giant country’s policy, which since the beginning of the century has supported Palestinian positions. Council on International Relations – Palestine welcomed the Human Rights Council adoption of a report issued by an international commission of inquiry accusing the Israeli occupation of war crimes against peaceful demonstrators in Gaza. In a statement issued on Sunday, the council thanked the countries that voted for the report of the commission of inquiry on the Great Return Marches, stressing that the report constitutes an important document in the context of holding the Israeli occupation accountable for its ongoing and systematic crimes against the Palestinians. The Council expressed disappointment with the countries that voted against the report or those who abstained. “Your negative vote or abstention was a surprise for us. We hope you will review your position and we look forward to your stand with the just causes and against war crimes committed everywhere”, the CIR added. The Council called upon the international community to examine all means necessary to implement the recommendations of the Commission of Inquiry, including the lifting of the blockade imposed on the Gaza Strip 12 years ago, and the stopping of the use of force against peaceful demonstrators in the Great Return Marches. The UN Human Rights Council adopted a report on Friday morning condemning Israel’s “apparent intentional use of unlawful lethal and other excessive force” against civilian protesters in Gaza. The vote follows a UN Independent Commission of Inquiry report that claims 183 Palestinians were killed by “Israel”, including 35 children. The commission determined that the majority of protesters killed by Israeli forces – 154 out of the 183 – had been unarmed. Council on International Relations (CIR) Condemned the terrorist attack on two mosques in New Zealand on Friday morning. The council said in a statement Friday that the attack is a reflection of the hate speech by some world leaders, especially US President Donald Trump, who inflamed and incited hatred against Islam and incited racism against refugees and immigrants. 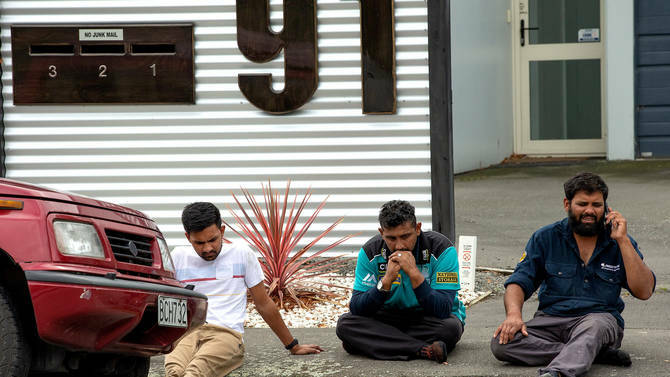 At least 49 people have been killed and more than 40 others wounded in shootings at two mosques in Christchurch, New Zealand, after a terrorist gunman opened indiscriminate fire at Muslim worshippers, some as they were kneeling at prayer. In its statement, the Council added that the attack is clear evidence that terrorism has no religion, referring to the terrorism the Palestinian people are subjected to on daily basis under the Israeli occupation, that kill, wound and displace without any accountability. The Council called on the New Zealand government to prosecute criminals and those behind them and governments around the world to take adequate measures to protect Muslims and their places of worship from racists and terrorists and to fight the culture of extremism and hatred everywhere. 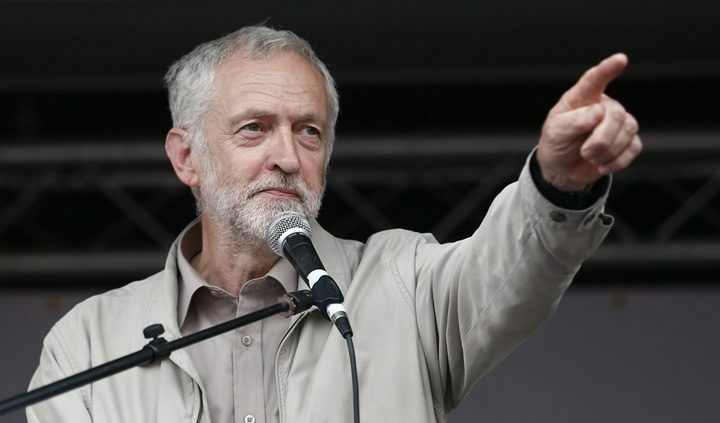 Council of International Relations – Palestine appreciated the call by the British Labour Party leader Jeremy Corbyn to freeze arm sales to the Israeli occupation. The call came after UN said Israel’s killings at Gaza protests may amount to war crimes. The Council said in a statement issued on Saturday that the position of Mr. Corbyn is a great and courageous attitude towards the crimes of the occupation, and comes in light of the fierce campaign by his opponents. “We call on all States that have relations with the criminal Israeli occupation to boycott it and to comply with the principles of international law that calls for the prosecution and punishment of war criminals.”, the council added. Labour Party leader Jeremy Corbyn has called on the British government to condemn Israel’s killings and demanded a freeze on arms sales to Israel. Council on International Relations – Palestine (CIR) welcomed the report issued today by The United Nations Independent Commission of Inquiry on the protests in the Occupied Palestinian Territory, which referred to the Israeli occupation forces committing war crimes against peaceful protesters in the Great Return Marches. The council said in a statement Thursday that the report indicates beyond any doubt that the Israeli occupation has committed clear war crimes against the Palestinians who came out to protest peacefully to demand the right of return and lift the siege. The Council said that despite all obstacles by the occupation to halt the Commission work, it was able insistently to communicate with all citizens and officials concerned, and come out with an important report. The Council called upon the international community to hold the Israeli occupation accountable for the war crimes that it continues to commit against the Palestinians, calling for taking the recommendations came in the report and completing the procedures against the occupation criminals. According to the United Nations report, there is evidence that Israel committed crimes against humanity in responding to 2018 protests in Gaza, as snipers targeted people clearly identifiable as children, health workers and journalists. “Israeli soldiers committed violations of international human rights and humanitarian law. Some of those violations may constitute war crimes or crimes against humanity,” the chair of the UN Independent Commission of Inquiry on the protests in the Occupied Palestinian Territory, Santiago Canton, said in a statement on Thursday. Council on International Relations – Palestine (CIR) congratulated the International Committee of the Red Cross (ICRC) and all its staff on the 156th anniversary of foundation, wishing them more success, progress and prosperity for the benefit of all peoples. 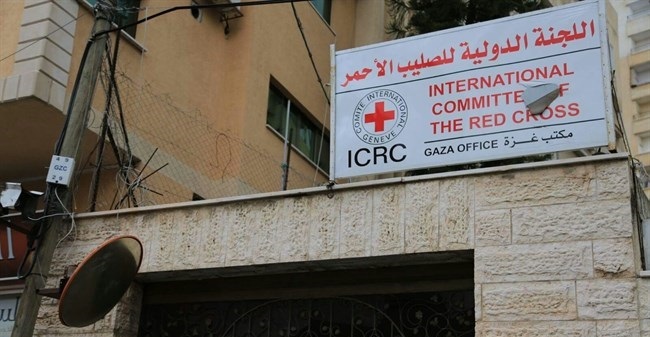 In a letter sent to head of the ICRC sub-delegation in Gaza, Mr. Guislain Defurne, the Council thanked the Committee for its efforts to assist the Palestinian victims of the Israeli occupation and to provide protection and assistance to them. ” We highly appreciate your sacrifices in the battlefields and to ensure protection and humanitarian assistance to victims of armed conflicts.” the letter said. The Council renewed its aspiration to strengthen the relations between the Committee and the Palestinian people and to work jointly for the benefit of this people, who is still suffering from occupation, siege and closure. The Geneva-based International Committee of the Red Cross (ICRC) is one of the most widely respected and recognized humanitarian organizations in the world. It was founded in 1863 by Swiss philanthropist Henri Dunant. The oldest organization within the International Red Cross and Crescent Movement Red, has won the Nobel Peace Prize three times since 1917. Council on International Relations – Palestine called upon activists around the world to declare 30 March as a day of international solidarity with the demands of the Palestinian people to break the siege, return and freedom. The Council underscored in a statement issued on Monday the appeal made by the Higher National Commission of Great March of Return and Breaking the Siege, which called upon the solidarity movements, civil society organizations and all the free people to participate in this International Day. The Council noted in its statement the importance of the Great Rerun March (GMR), one year after its launch, as it continues to be a strong response to the continuation of the siege on the Gaza Strip and a strong message that the Palestinian people will not relinquish their rights. The Council said that the crimes of the occupation committed against participants in the GMR, in which 254 Palestinians were killed and over 26,000 injured so far, will not dissuade the Palestinian people from exercising their right to resist this occupation by all possible means guaranteed by international law. The Higher National Commission of Great March of Return and Breaking the Siege has appealed to the solidarity movements, civil society organizations and all the world’s free and human rights advocates to declare Saturday, March 30, the forty-third anniversary of Palestinian Land Day, the first anniversary of the launch of the GMR a day of international solidarity with the demands of the Palestinian people to break the siege, return and freedom. The Commission called for the implementation of various solidarity activities, especially demonstrations and festivals in capitals and major cities in all countries of the world to demand the breaking of the immoral and illegal siege on the Gaza Strip and to affirm the right of the Palestinian people to freedom and return to the homes they were forcibly displaced from. Council for International Relations – Palestine (CIR) valued a statement issued by the Human Rights Office calling for holding accountable those responsible for Israeli settler violence against Palestinians. The Council said in a statement issued on Wednesday that settler crimes reached an unprecedented level against the Palestinians in 2018. 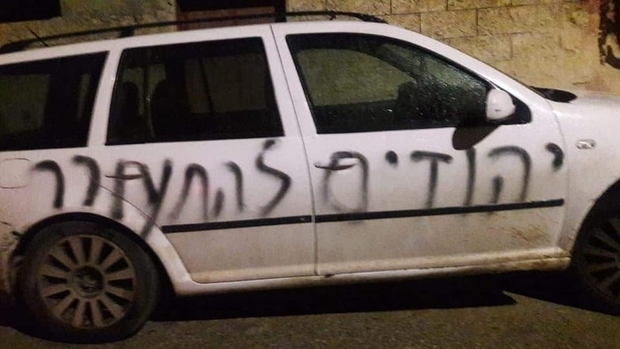 The Council said that violence by Jewish settlers and right-wing activists against Palestinians in the occupied West Bank tripled last year, with 482 such incidents reported by mid-December, compared to 140 for 2017, according to Haaretz. “We call upon the Human Rights Council to send a commission of inquiry into these crimes and to pressure the international community to exert maximum pressure on the occupation to end its occupation, dismantle illegal settlements and stop the crimes of the settlers,” the council said in the statement. The United Nations Office for Human Rights has expressed concern about the protracted and extremely violent attack by Israeli settlers on Palestinians in the West Bank village of Al Mughayyir last Saturday (26 January), during which a 38-year-old Palestinian father of four, Hamdi Taleb Na’asan, was shot in the back and killed.